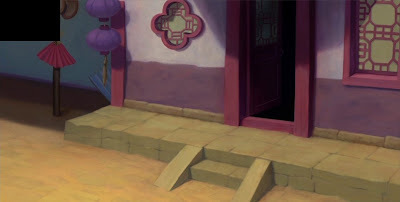 Mostly, Disney is the apex of achievement in animation art. 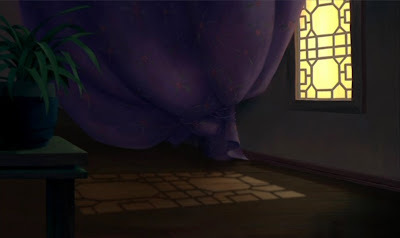 Take for example these incredibly lovely backgrounds from MULAN. This digitally recreated pan B/G is beautifully composed. 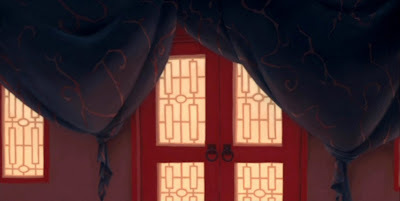 In this last piece, notice the weight of the fabric and the play of light across it, and the artful color palette, very restrained with the striking exception of the chinese red woodwork!